When you’re done adding calendars, go to ‘Settings’ and the section ‘Online Booking’ and to ‘Calender’ and choose which calendars should be available through your online booking form. 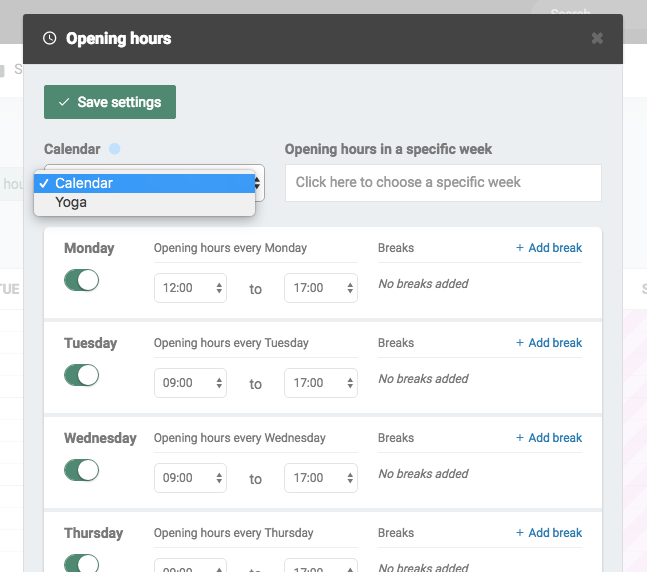 You can then go back to the calendar and select ‘Opening hours’ and set seperat opening hours for the separate calendars. 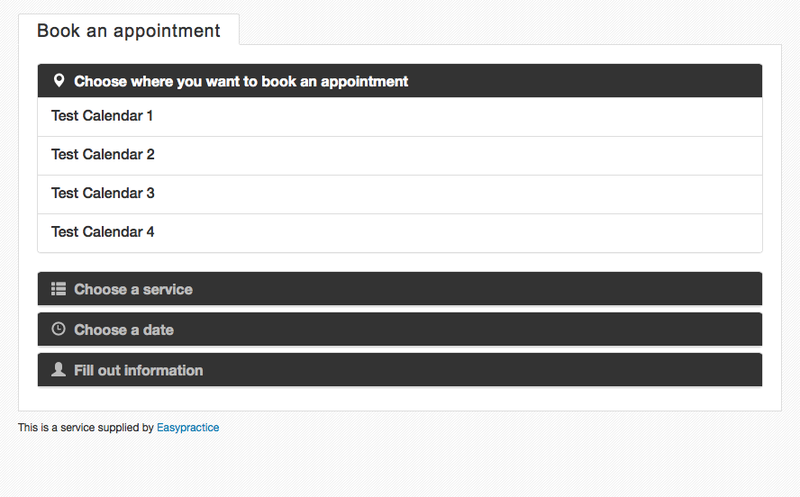 This means that your services will only be visible within these hours.